A synthesis essay is simply a write-up that incorporates support from a number of sources that have divergent views. Just as the word synthesize connotes, it is a combination of different ideas that are put together to form a whole in order to prove a point. It is essential to know what a synthesis essay is before writing it. Synthesis essays are common in high school and college classes hence they may not be an entirely new phenomenon to some people. They are also used in the business and advertising world. Argumentative Synthesis. This usually has a strong thesis statement that holds the view of the writer. Information from various sources is gathered and organized to support the substance of the thesis. Such essays are mostly found in the business world when a position paper is being written. Review. This is an essay that discusses what has been previously written on an individual topic. It offers a critical analysis of what has been covered including the various sources that have been covered. It is mostly written within the disciplines of social science and medicine. The objective of a review paper is to stimulate more research in the area of discussion. Explanatory Synthesis. The main objective of this essay is to help a reader to understand a topic. It does this by categorizing the pertinent facts to a certain subject and later presenting them comprehensively to aid the reader to understand them. Before one embarks on a synthesis essay, a thorough analysis is initially done on a given text. This analysis aims to aid in the comprehension of the text; its purpose, its rhetoric, and the author’s claims. Once this is done, you build your own claim and write about it. This entails writing the first idea that you have regarding the prompt. You can make adjustments to this thesis after you’ve selected some resources. After you’ve read your sources and established your position, you should structure your claim and adjust your thesis accordingly. This adjustment should reflect the ideas in your sources in order to come up with a good synthesis essay. By now you have a couple of sources that are related to your prompt. However, only a few of them will help you with your claim. Thus, you have to sieve them out and gather only those that are closely aligned to your claim. This aids in crafting a great synthesis essay. The main aim of close reading is to summarize the main ideas and to connect them to your claim. After close reading, an evaluation of sources should be done. The main ideas gathered from the close reading should be used to justify the use of a certain source. This is done after completing the drafting stage. The information, main ideas, and interpretations that have been gathered are now aligned to form the final thesis. It is usually a one sentence claim that will tell your readers what, how and why you will write about the topic at hand. The introductory paragraph. It usually has an opening sentence which catches the reader’s interest. It identifies the issue that you will be addressing. The body paragraphs. These paragraphs have a topic sentence which gives one reason to support your thesis. It then gives an explanation and your opinion on the topic sentence. It adds support from the various sources that you chose to back the claim. Lastly, it gives the significance of the sources used. The conclusion paragraph. This paragraph draws a parallel between your topic and the explanations, and evidence given in your essay. It restates the main points and gives a thought for the readers to ponder over at the end of the paper. Once you’ve written your outline, the next step is to get to the actual writing. It should not come off as a cumbersome process as it’s more of expression of ideas. Always keep your thesis in mind when writing and ensure that you do not deviate from it. Start with a first draft that’s built from your outline to help you organize your thoughts and ideas. This refers to using third person pronouns such as he, she and it. It also entails using the active voice as opposed to the passive voice. Use only the passive voice in situations where first and second pronouns could come up. This aids in the logical flow of the text. They also show areas of support between various sources for reference. This manifests credibility and readers are more likely to have confidence in your assertions. This is the simplest way of developing a good synthesis essay. It works by summarizing the most relevant sources. However, the most important of them are saved for last. This makes sure that your essay is grounded on relevant evidence. However, sometimes it may leave no room for your independent thoughts. It is best utilized when you have the perspective of the reader at hand. That way you will know what your reader needs to get at various points in your essay. This technique uses an argument that you personally present against your thesis. However, you immediately show that it is weak. It is a good technique as it indicates that you are aware of other arguments that are contrary and you can defend your own argument. Typically, you start by presenting an introduction coupled with a thesis; followed by the main opposing argument. Afterwards, you refute the opposing argument and present your case. This technique borrows from the strawman only that it doesn’t discredit the opposing argument completely. It presents the opposing argument as valid although the positive one is much stronger. It is used when you are targeting an audience that’s inclined to the opposing side. With this approach, you start by stating your thesis and then offering reasons as to why you think it is right with supporting evidence. Typically, you present as many reasons as you can, but you save the strongest reasons for last. The rationale behind this is that the reader will mostly take home what’s presented at the end of the synthesis paper. This technique entails giving vivid examples at one or multiple points in your essay derived from your source material. You can paraphrase it, quote it directly or summarize. Descriptive words are best when using this approach as it leaves an imprint on the mind of the reader. Of course, all credit has to be given to the source to avoid plagiarism. 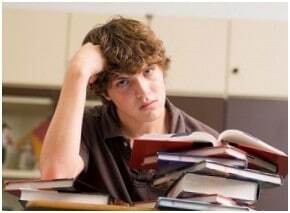 After you’ve written your synthesis essay, certain steps need to be undertaken in order to finalize it. Arguments can also be strengthened through revision and proofreading. It is a good practice to have someone assist you in proofreading as it gives a second opinion on your work. Another aspect that should be looked at when finalizing your essay is the footnotes and citations. Ensure that they are well placed and fully utilized for any work that you’ve cited, quoted or paraphrased. The above points are sure to make your writing of the synthesis essay a walk in the park. By follow each guideline carefully, you will write the best synthesis essay!